Link to the article here, or read on below. Thanks to Willamette Week for the kind words. Ben Fuller and Lincoln Heath celebrate four years of reshaping Portland’s dance culture. Somewhere in Portland, there’s an aggressive Old Town bro unaware he helped bring together two of the most influential electronic music promoters in the city. It was 2009, at a show at the Crown Room by Chicago juke master Gant-Man. “When Lincoln and I fully bonded is when we almost had to throw this dude out of the club,” Fuller says. This week marks the fourth anniversary of Bubblin’, Fuller and Heath’s recurring dance night, and if anything has changed in the interim, it’s been Portland’s receptiveness to the forward-thinking styles—bass, house, dubstep, techno, garage—that they bring to town every month. The anniversary will be celebrated in kind, albeit with a heavy pall cast over it: DJ Rashad, the 35-year-old footwork pioneer set to spin at the anniversary party, died suddenly April 26. For many promoters, the loss of a legendary headliner means a lot of refunds. But while Fuller and Heath join the worldwide dance community in mourning, their show will go on. Even without Rashad, the lineup dazzles, with sets from Baltimore club pioneer DJ Technics, dark club duo Nguzunguzu, and DJ Spinn, a member of Rashad’s Teklife crew. The unyielding anniversary speaks not only to how embedded Fuller and Heath are within the electronic scene in Portland and beyond, but also to the duo’s 30 combined years of experience DJ’ing and promoting. Proselytizing for electronic music in Portland wasn’t always easy, though. Without even being aware of it, Portland has allowed Bubblin’ to shape its nightlife into a more sophisticated beast. Now, audiences are more willing to indulge genres previously too foreign for their ears. While Bubblin’ may lack the free-for-all nature of the raves of Heath and Fuller’s youth, it has the diversity of music and, more importantly, the weird, positive vibes of rave culture. 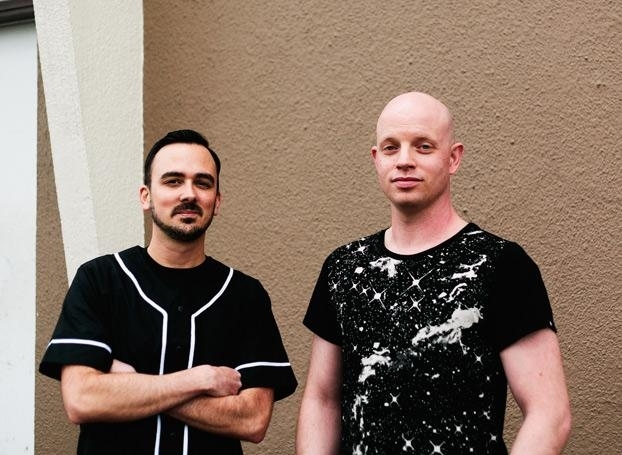 There’s a laundry list of venues, promoters and producers that Fuller and Heath attribute their success to, including Dropping Gems, Ryan Organ, Evan Hancock and the staffs at Groove Suite and Crown Room. But if they had more of Edwards’ forthrightness, they’d admit the truth: They’ve felt Portland’s love, too, and given us one of the country’s best and most diverse nights in return. SEE IT: Bubblin’s Four-Year Anniversary is at Holocene, 1001 SE Morrison St., on Friday, May 9. 9 pm. $10 before 10 pm, $15 after. 21+. This entry was posted on May 28, 2014 at 1:51 pm and is filed under Bubblin. You can follow any responses to this entry through the RSS 2.0 feed. You can leave a response, or trackback from your own site.